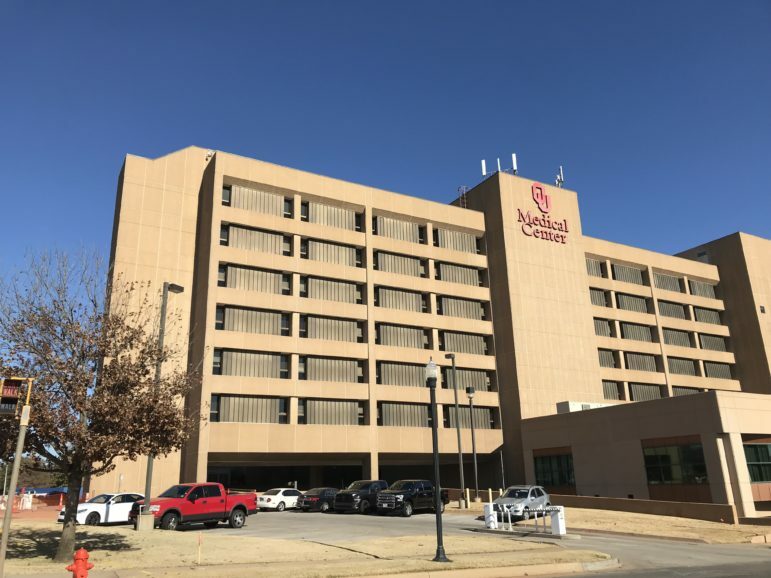 The University of Oklahoma Medical Center is one of two safety-net hospitals in the state that is facing a loss of federal funds it says it needs to train future health care providers. The agency said the supplemental payments for graduate medical education went to medical schools run by the University of Oklahoma and Oklahoma State University and were made without the proper authority. However, along with the clawback, the federal agency did offer a break, saying it would provide matching funds for the current fiscal year through June 2019. It’s unclear how the matching funds would work with money the state has to give back for 2017. The Oklahoma Health Care Authority, which administers SoonerCare, the state’s Medicaid program, can appeal the disallowance. State officials said earlier that the payments were proper and have been made by the federal government for more than two decades. But they’ve acknowledged the necessary paperwork wasn’t up to date. The Health Care Authority said Wednesday it is reviewing the letter. Meanwhile, in a separate letter, the federal centers said it would provide matching funds for the graduate medical education program until the end of June 2019. But the state will have to come up with a plan to phase out the use of those matching funds to treat Medicaid patients at the OU and OSU medical schools. That temporary approval came as part of a broader renewal of the state’s SoonerCare program through the end of 2023. The federal centers said it would match up to $115 million in Medicaid funds for graduate medical education programs in Oklahoma through June 2019. The state will have to come up with the money July 1, 2019, to sustain it indefinitely. It was unclear how the current state fiscal-year match would work with the money the Health Care Authority has to give back for calendar year 2017. State officials did not immediately respond to questions about the funding details. Three members of the state’s congressional delegation released statements Thursday calling on the federal agency to provide more clarification and expressing concern with the $64 million disallowance of funding. Sen. James Lankford, R-Oklahoma City, said he hopes the transitional period won’t interrupt care. “It is critical that Oklahoma has access to adequately transition funding so the necessary preparations can be made to restructure the program without interrupting high-quality health-care delivery for our Medicaid beneficiaries,” Lankford said. Rep. Tom Cole, R-Moore, said he was troubled by the federal agency’s “messaging” regarding the disallowed funds. But he said the transition period will allow care to continue and medical education to remain stable. “These funds will allow our state to bridge and prepare for the future of our healthcare delivery system and importantly the continued graduate medical education programs at our universities,” Cole said. In a joint statement, OU and OSU medical schools said they were reviewing the letters and are awaiting further clarity from the federal agency and the Health Care Authority. State lawmakers approved an emergency appropriation in March to keep the graduate medical programs going through the 2019 fiscal year, which ends June 30. Uncertainty has surrounded the state’s graduate medical education program since late last year, when the federal Centers said Oklahoma didn’t have the proper authority to use Medicaid matching funds for the program. The latest move comes just months after the Centers in April denied Oklahoma’s updated application to permanently renew the funding, which came through a complicated arrangement via a state appropriation to the Health Care Authority, then to the universities and back to the Authority to get a federal match. The federal agency had questions over higher reimbursement rates to doctors at the medical schools, according to an Oklahoma Watch review of agency correspondence and conference calls. University representatives said the higher payments were to attract doctors who trained residents and to make up for the loss from what doctors could get from patients with private insurance.